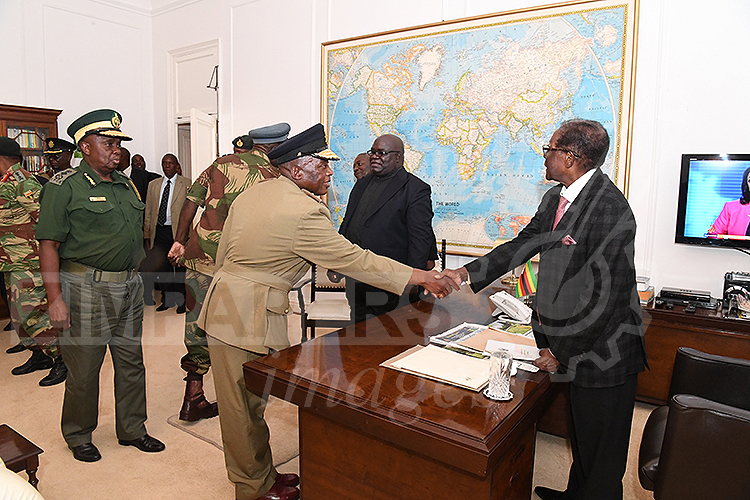 EARLIER: End of an era for President Mugabe . 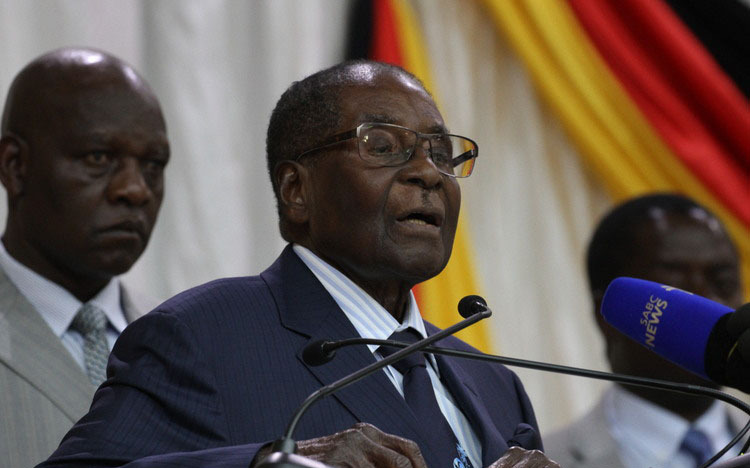 . .
A special Zanu-PF Central Committee meeting is currently underway in Harare to recall the revolutionary party’s First Secretary Cde Robert Mugabe from his position. 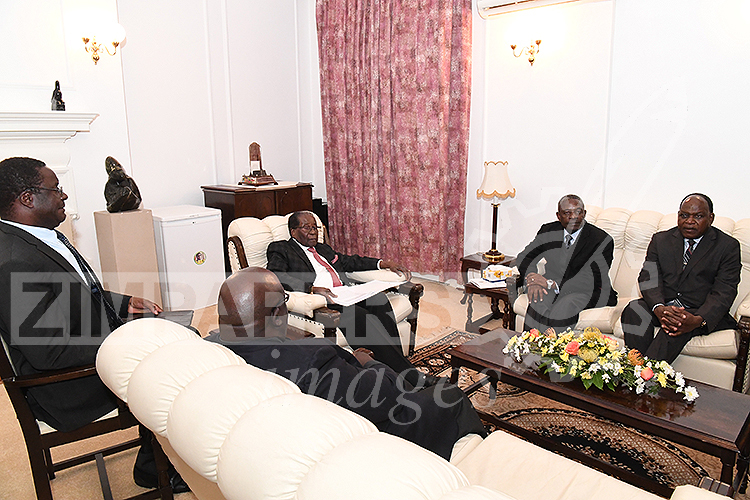 The meeting is being chaired by Cde Obert Mpofu who is Zanu-PF’s Secretary for Finance. 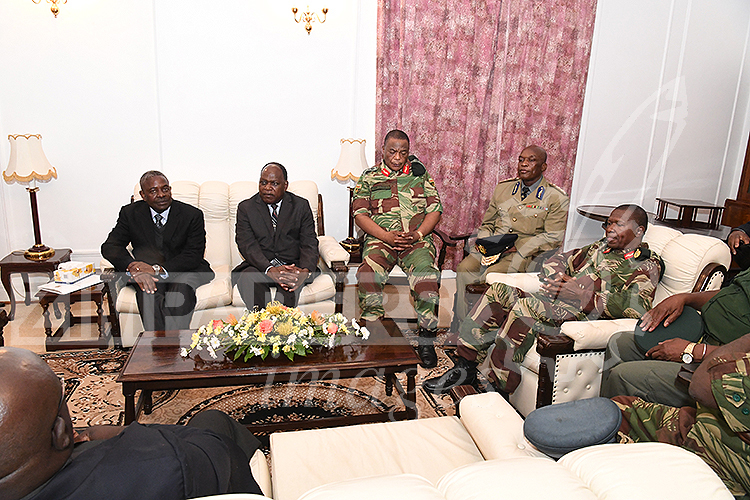 Cde Mpofu is the most senior member present according to the party hierarchy. 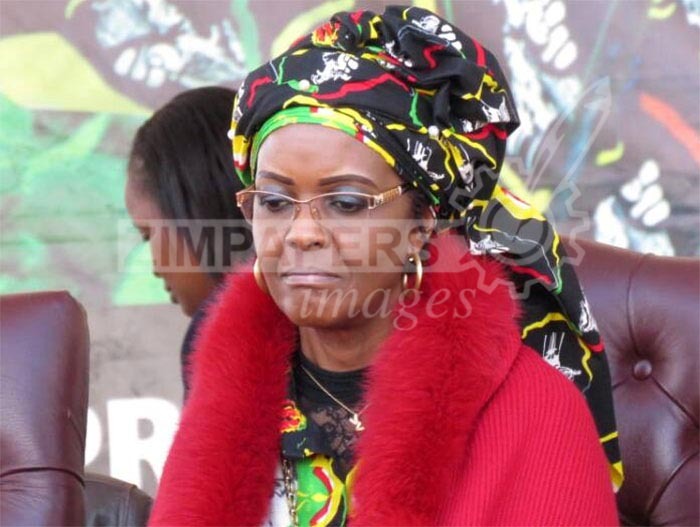 Cde Mpofu said President Mugabe’s wife Dr Amai Grace Mugabe and her close associates had taken advantage of the First Secretary’s frailty due to his advanced age to usurp his powers and to loot the country’s resources. 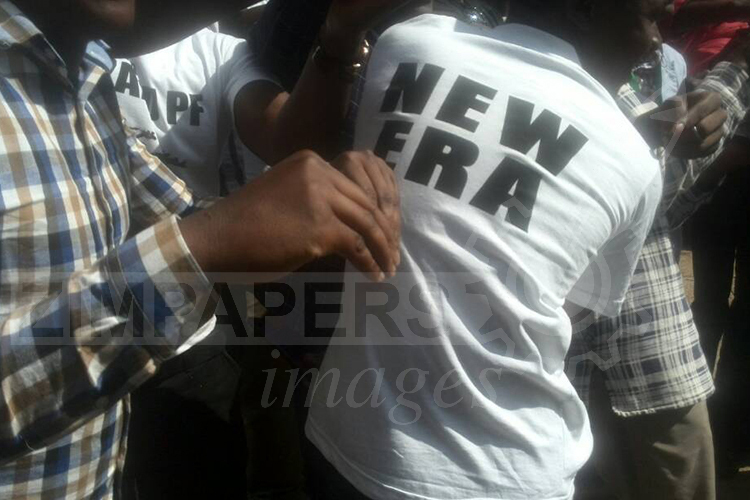 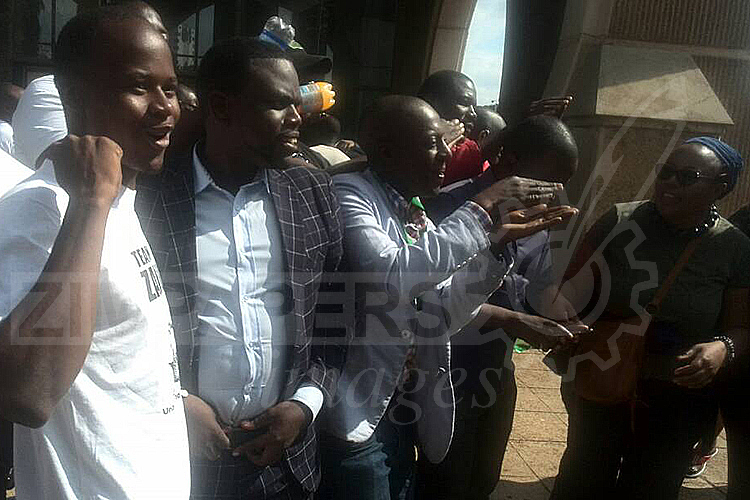 Meanwhile Journalists stormed the meeting for a briefing after hearing celebratory ululations from the auditorium. 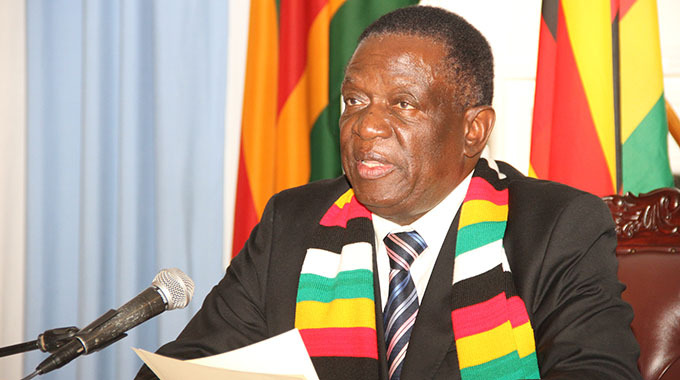 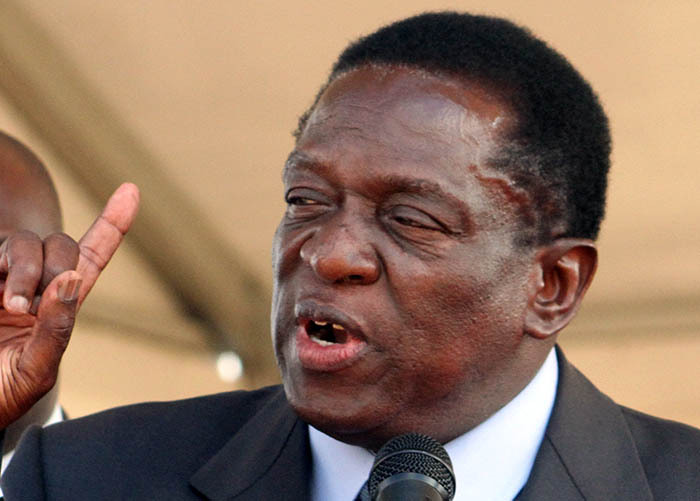 Indications are that the Central Committee is going to recall President Mugabe as the party‘s First Secretary while reinstating former Vice President Emmerson Mnangagwa as the Second Secretary. 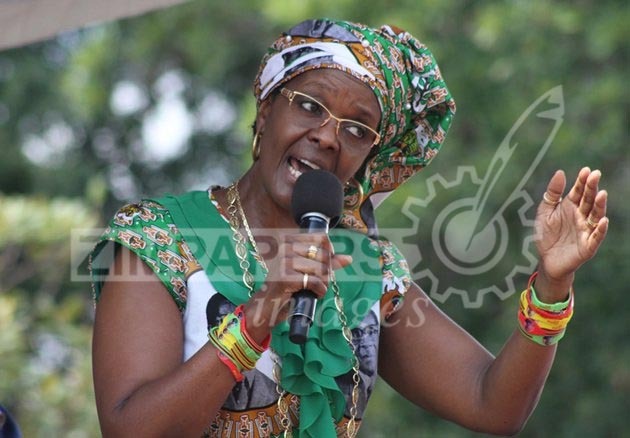 Zanu-Pf Central Committee resolved to recall First Lady Dr Amai Grace Mugabe accusing her of promoting hate speech. 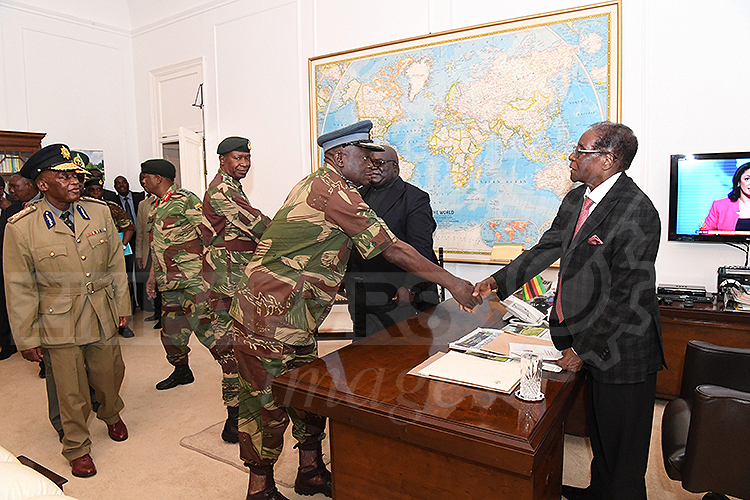 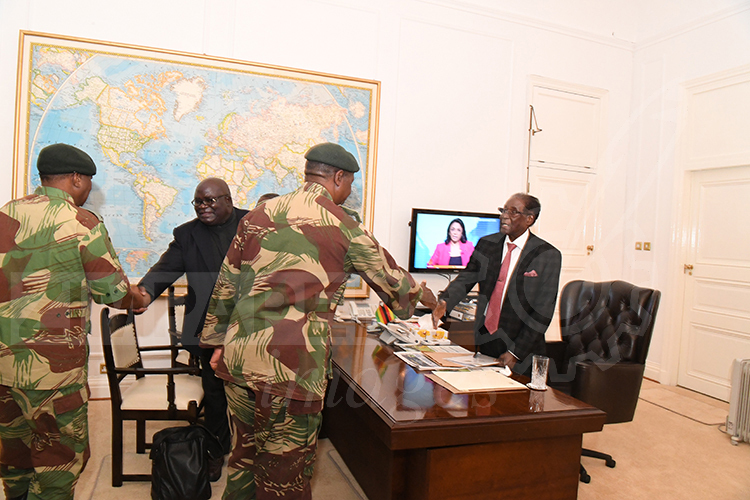 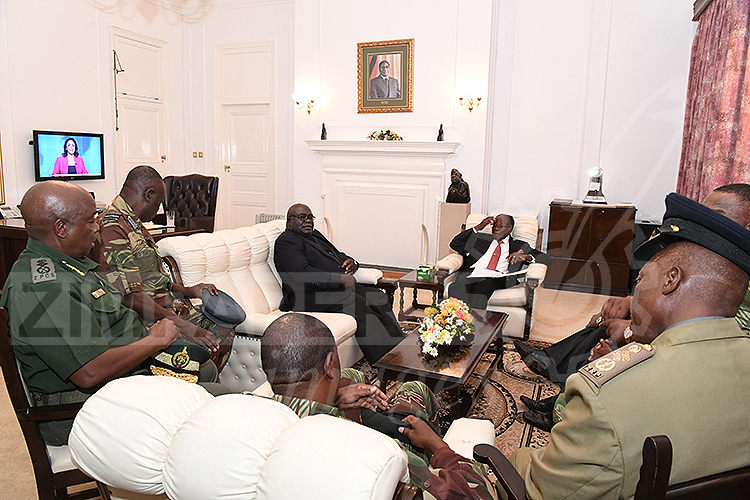 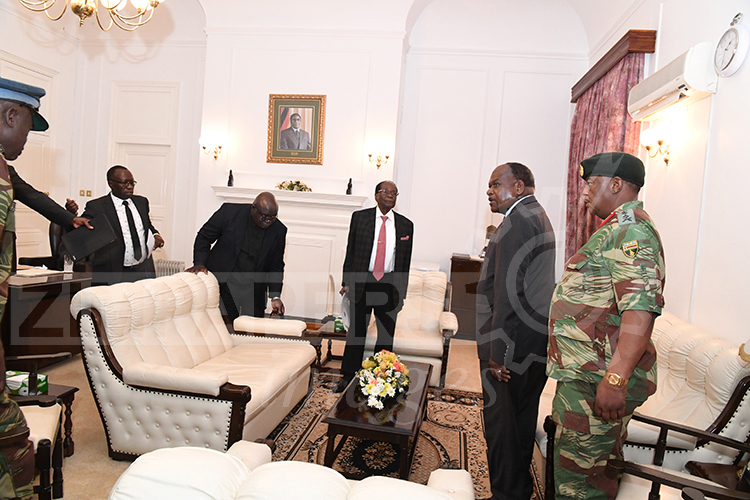 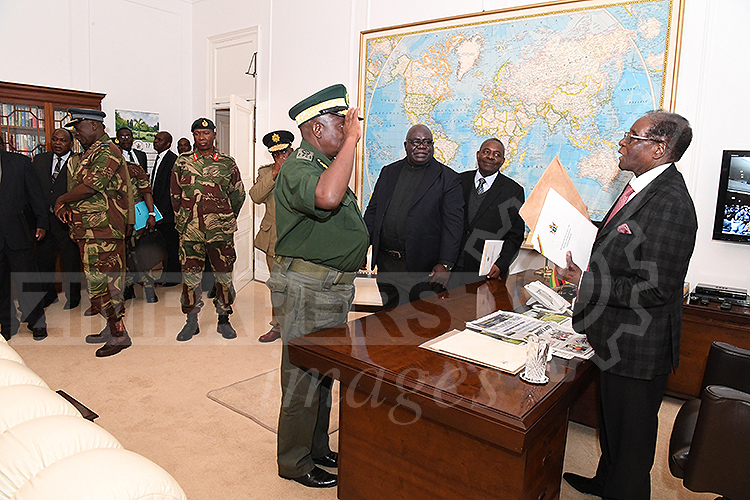 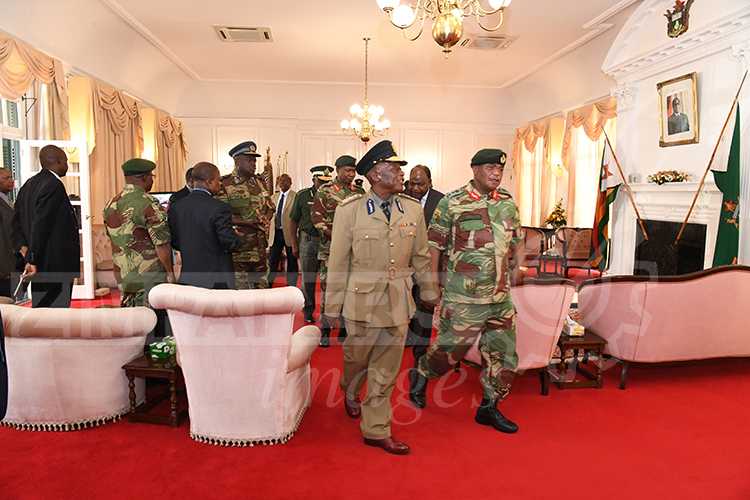 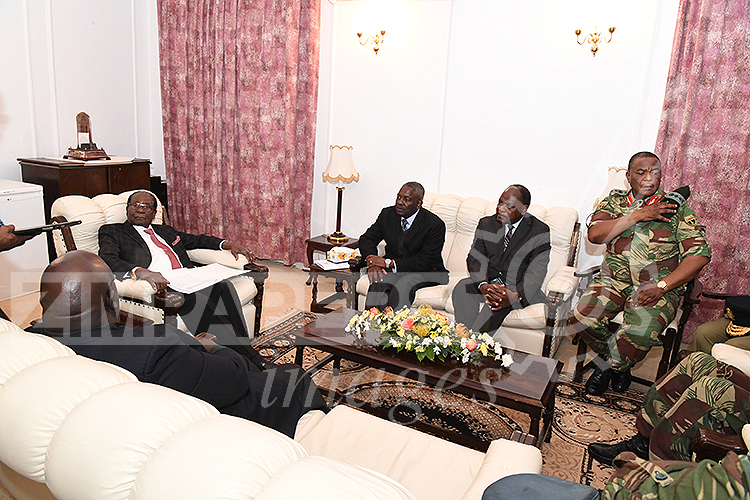 Meanwhile President Mugabe this afternoon met with the Generals at State House. 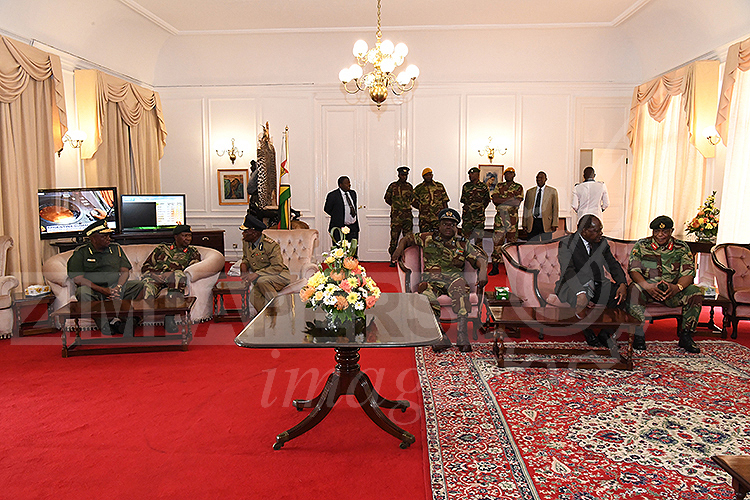 Below are the pictures from the meeting. 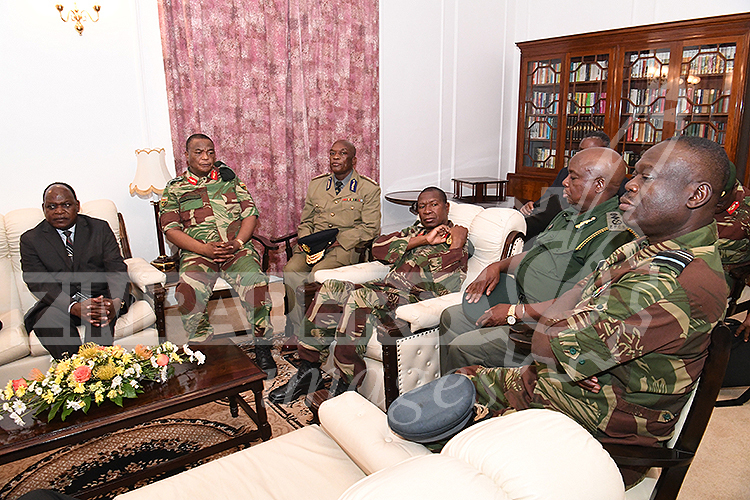 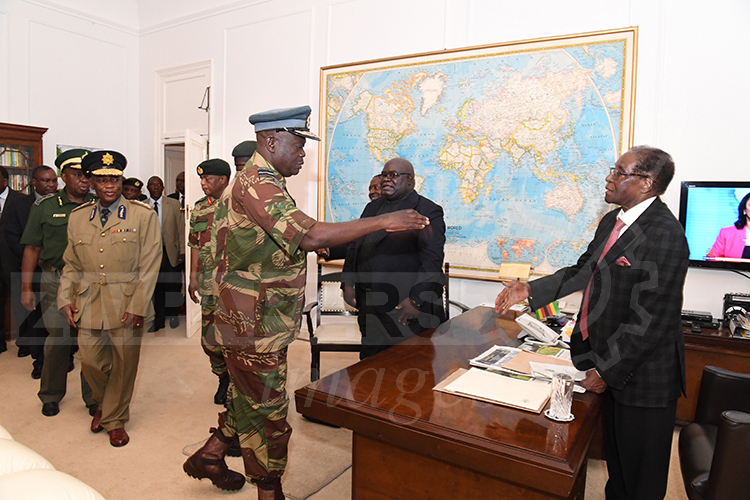 President Mugabe meets with Zimbabwe Republic Police Commissioner General Augustine Chihuri while Father Fidelis Mukonori (second from right) looks on. 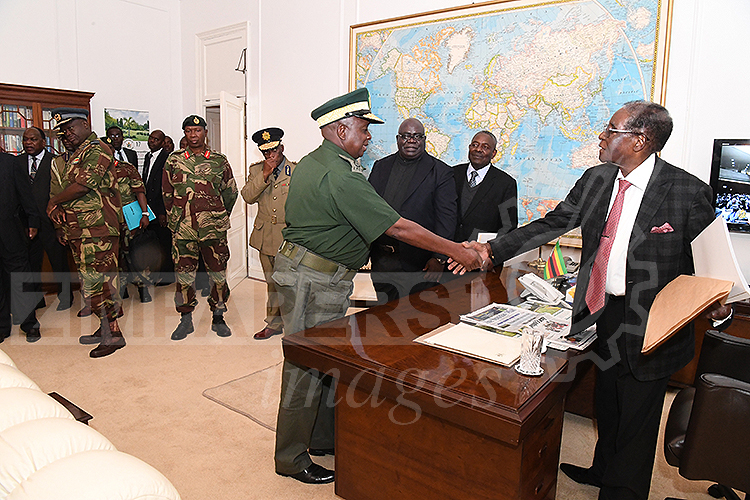 Behind CG Chihuri is Commissioner General of the Zimbabwe Prison and Correctional Services Paradzai Zimondi. 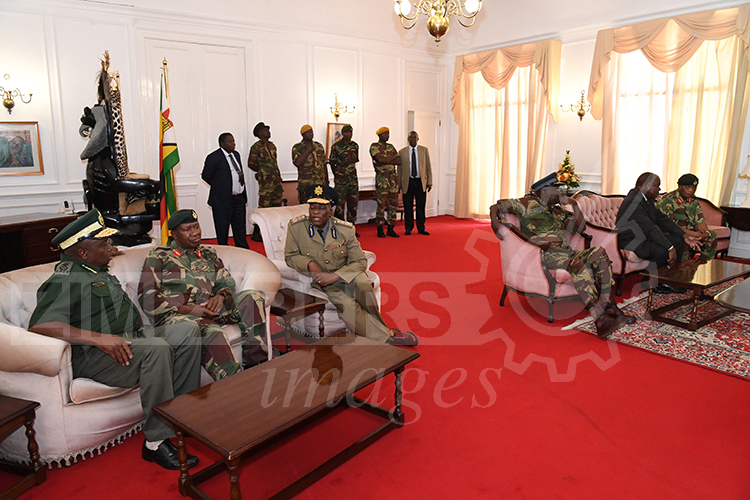 Commissioner General of the police Augustine Chihuri (l) with Commander of Zimbabwe Defence Forces General Constantino Guveya Chiwenga. 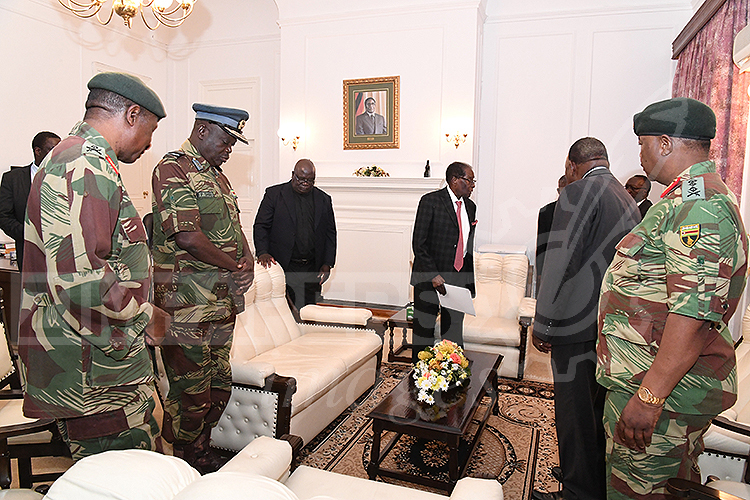 18:47 – Meanwhile a press conference has been called for at State House from where President Mugabe is expected to address the nation.